Killjoys Season 2 Release Date - trailer, photo, video. 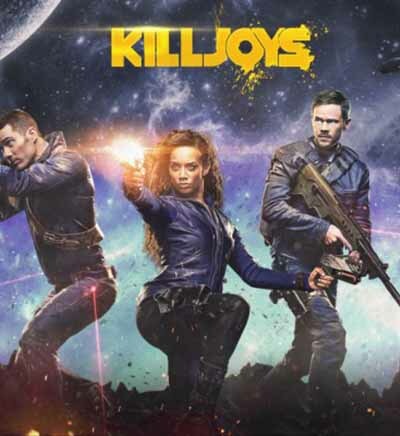 If you like cheap but surprisingly not bad TV series made by the most popular sci-fi aimed network SyFy then you have probably watched Killjoys season 1 as well as Expanse and Dark Matter TV series. 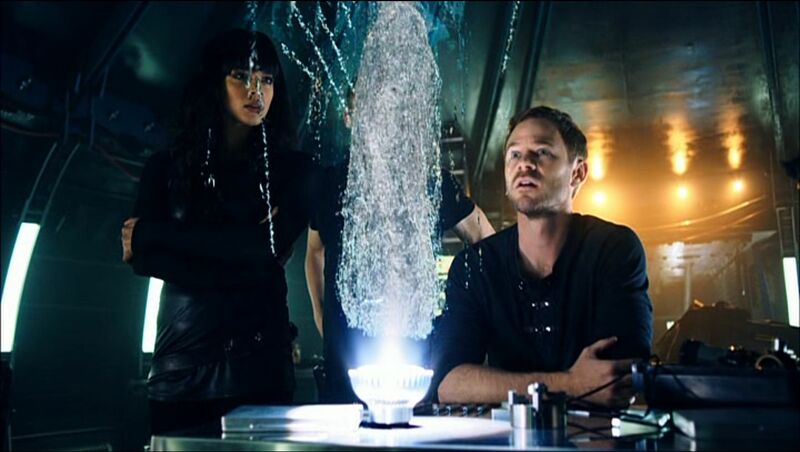 During the broadcasting of the first season of Killjoys the channel SyFy announced about the production of the second season. Right it is known that Killjoys season 2 release date was scheduled for July 1, 2016. Currently SyFy hasn’t yet announced Killjoys season 2 release date on Bluray and DVD. 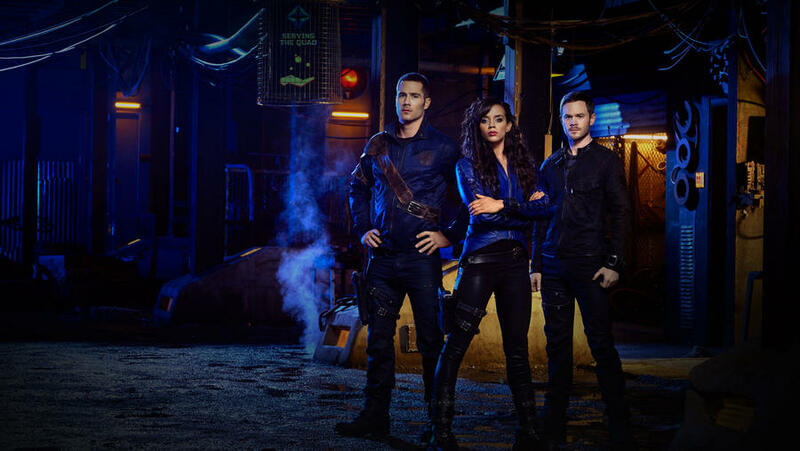 Hannah John-Kamen, Aaron Ashmore and Luke Macfarlane will return as the major three Actors in Killjoys season 2 episode 1. The bounty hunter Dutch (Hannah John-Kamen) and her partner John (Aaron Ashmore) and D'Evin (Luke MacFarlane) continue to cleanse the quarters of Quadras – the planetary system from all sorts of offenders. This means that the adventure on their share falls abound: will and daring skirmishes, and chase and fight. It is possible that they themselves become the object of hunting. All power in remote planetary system Quadras is concentrated in the hands of members of the Council of Nine, which includes the richest and most notable representatives of the aristocracy race with Crash planet. planets, managed by the company - a subordinate organization of the Council, combining military and commercial functions. Race-plebeian citizens live on the planet Westerly, where storms regularly occur ion due to badly damaged as a result of predatory activity of the Company. Search and detention, and if necessary - and the physical destruction of those who in the opinion of the Council, is a criminal, was established by the Coalition Detentions and Complaints. Employees of the police special forces are population Quadra notorious, and the people they got the nickname Killjoys. 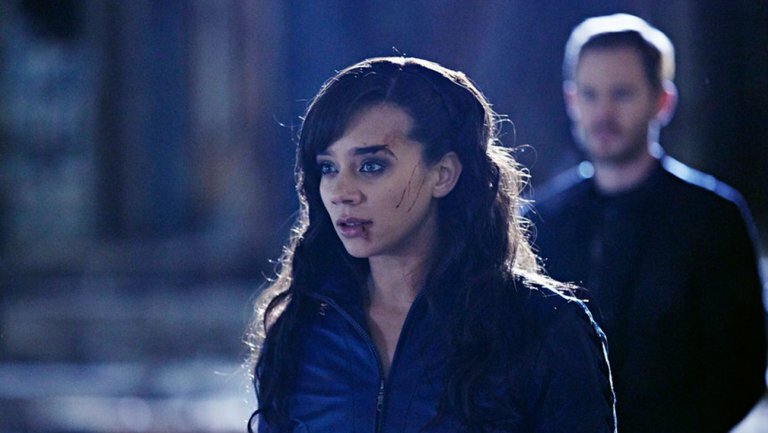 The Main female role in the series played British actress Nigerian-Norwegian-born Hannah John-Kamen. 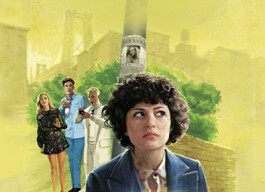 In a career of Hannah before filming Killjoys was not the Main roles, but its most notable work was on-screen appearance in the television series The Hour.